Have you heard about Etsy House? Do you know what it is? 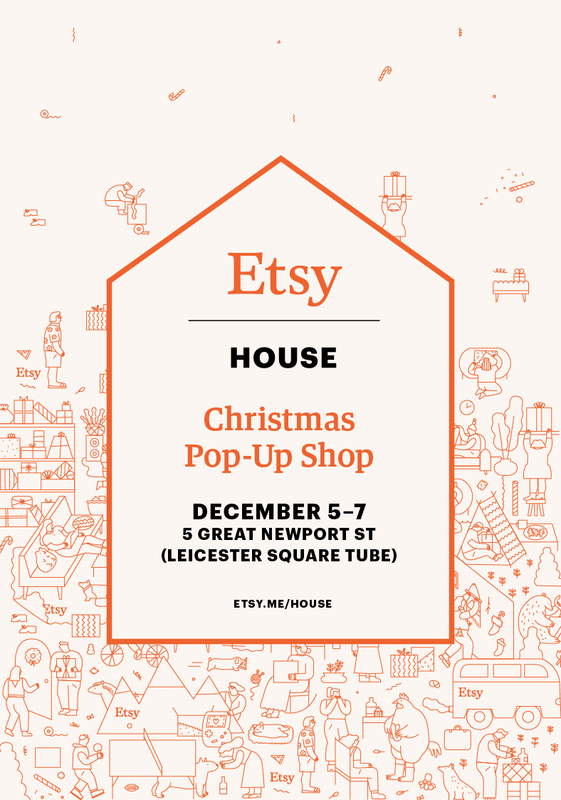 Well, Etsy UK have pulled together a bunch of UK sellers and will be selling their goods for 3 days in Covent Garden in a Pop Up Shop. You can read a little more about it here. It has been a mahoosive effort in getting all my items printed, made and ready to ship. I am almost finished. Almost... All sellers goodies have to be shipped this next week. I am trying not to panic!